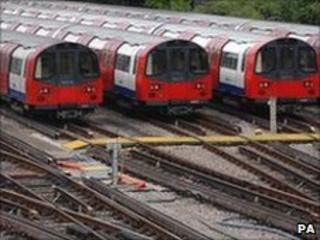 The Rail, Maritime and Transport (RMT) union has called off a 48-hour Tube strike planned to start on Wednesday. The move comes as officials reached agreement on a 4.2% pay deal and the protection of jobs. Tube Lines workers will now vote on the offer which the RMT has recommended they accept. Transport for London (TfL) said the pay offer was consistent with those accepted last year by Tube workers employed by London Underground. The union had feared jobs would be at risk when upgrade and maintenance work was transferred from contractor Tube Lines to TfL at the end of last month. TfL brought all Tube Lines projects in-house in May following severe delays and a dispute over costs involved in the work. RMT General Secretary Bob Crow said the deal would deliver "an immediate 4.2% along with inflation-busting increases for the following two years". "Once again, RMT members have shown that if you are prepared to stand together and take action in defence of pay, jobs and working conditions you can win." But TfL said the offer RMT had accepted was not a new one. A TfL spokesman said: "The pay offer accepted by the RMT was the same offer in existence prior to TfL's acquisition of the company, and had already been accepted by three other trade unions prior to the transfer to TfL."